Team Unicorn Latvian star Madars Razma, pictured top, has achieved his dream! 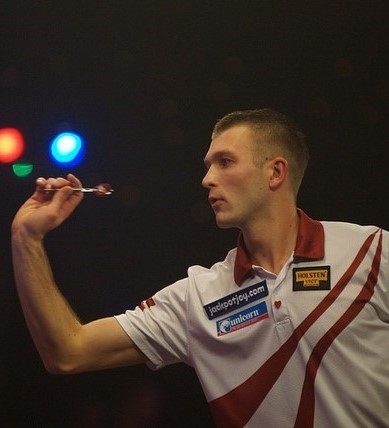 He has clinched a priceless PDC Tour Card for the next two years, coming through a tough European Q School in Hildesheim, Germany. Although he didn’t win one of the four qualifying tournaments, Razma’s consistency saw him finish top of the European Q School Order of Merit. In the four days of qualifying he reached a final, semi-final and quarter-final to come out ahead of the rest in the qualification table. The four winners to claim tour cards were Niels Zonneveld, Mike Van Duijvenbode, Christian Bunse and Darius Labanauskas. Razma lost the final to Van Duijvenbode on day two 5-4 after being 4-2 up and was beaten by Labanauskas in the semi-finals on day four, but he had done enough. 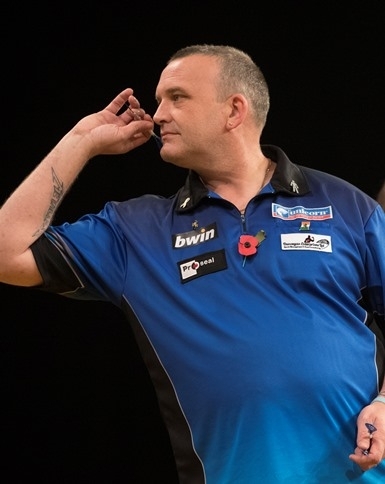 Meanwhile at the BDO World Championship, Team Unicorn’s number one seed and last year’s runner-up Mark McGeeney, pictured below, saw off Dutch youngster Derk Telnekes by three sets to one. The opening two sets were shared but McGeeney soon got into his rhythm and 13, 14 and 16 darters from the Stockport man took him to the third set, and Telnekes was unable to stem the tide as McGeeney eventually got over the line with his fifth match dart to move through to round two at Lakeside for the fourth consecutive year.